The Porsche Boxster is the most affordable sports car in the German company's lineup and a companion to the hardtop Cayman, and is a sibling to the flagship 911. It's a two-seat, two-door roadster that's simply one of the best-handling sports cars on the road. The Boxster rivals cars such as the BMW Z4, Jaguar F-Type, and Mercedes-Benz SLC-Class. Ranging in price from about $50,000 to more than $100,000 for a loaded model, the Porsche roadster sits at the upper end of its price category. The Boxster has been a mainstay in the Porsche lineup since it was introduced in the mid-1990s, but this year will mark one of the most significant changes for the Boxster as it adopts the "718" moniker alongside the Cayman for the 2017 model year. By the new nomenclature, it's clear that Porsche will more closely align the 718 Boxster and 718 Cayman in the future. The latest Boxster bowed for the 2013 model year. It rides on a new chassis, which goes by the 981 designation. Porsche also revised the ending offerings, with the base car now using a smaller engine, displacing 2.7 liters, that makes 10 hp more than the engine it replaces, for a total of 265 horsepower. The Boxster S continues to use a 3.4-liter flat-6, but its power ratings have also climbed, with a new total of 315 hp. 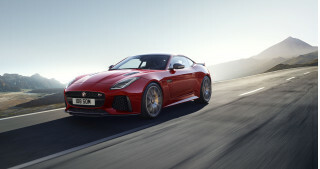 The 981 chassis is lighter and also stiffer, but the overall weight has stayed about the same as with the 987 generation due to an increase in standard features. The new Boxster loses the traditionally soft lines of its predecessors, replacing them with harder edges and a more aggressive visage. As always with the Boxster, handling and performance are at the forefront, and it excels at tackling the curves, but the latest model is also quieter and more comfortable when the pace is less frenetic. The well-appointed interior, comfortable seats, and ample storage space front and rear (the soft top doesn't impinge on trunk space), plus a power soft-top that can open or close at speeds up to and slightly beyond 30 mph, all combine to make the newest Boxster the best yet. For the 2015 model year, the Boxster has gained a new GTS edition with more power under the hood, unique styling elements, and a number of extras in the cabin. The Boxster GTS features the 3.4-liter flat-6 engine, tuned to deliver an additional 15 hp and 7 pound-feet of torque, for a total of 330 hp and 273 lb-ft. A 6-speed manual is standard, but the Porsche PDK dual-clutch transmission is the quicker option. With the latter equipped and Launch Control activated, the Boxster GTS will sprint to 60 mph from rest in just 4.4 seconds. 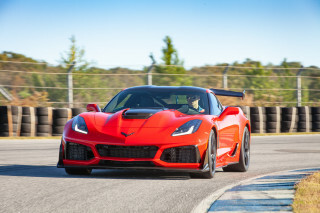 Top speed is 174 mph. Porsche’s Sport Chrono package and Porsche Active Suspension Management (PASM) are standard. An optional sports chassis setup can also be fitted, which lowers the car by 20 millimeters. Porsche has announced a sister vehicle to the new Cayman GT4, a reincarnation of the Boxster Spyder. It carries modified aerodynamics, as well as an uprated 6-cylinder engine and weight-saving measures similar to those used on the 911 GT3. Unlike the last Spyder, this one has a collapsing top that stows under a tonneau, although it is still manually operated; the previous version had a stretched-canvas roof that had to be assembled in place. Porsche has announced a Black Edition of the current Boxster, something it has offered in previous generations, for 2016. The package is based on a base model and features blacked out trim and interior, as well as a good load of standard equipment, all for a relative savings compared to an a la carte configured car. 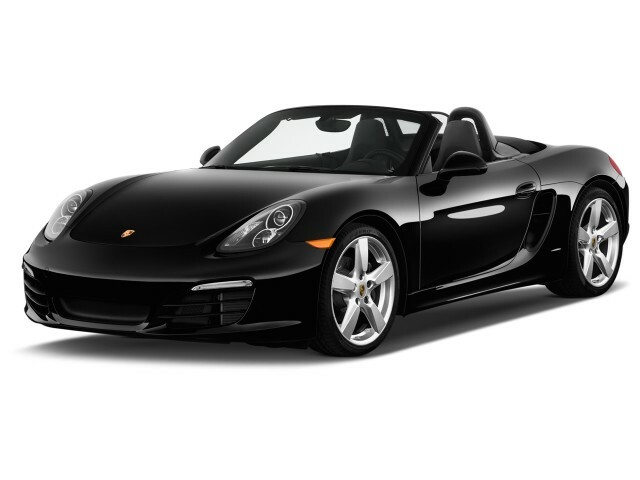 The Boxster Black will ring in at around $61,000, representing a discount of about $7,000. The renaming of the Boxster and Cayman to "718" will take effect for the 2017 model year. The Boxster first hit the market in 1996. From its inception, it was praised for its performance prowess, but criticized for its noisy cabin. The horizontally opposed 6-cylinder engine has grown over the lifespan of the car from 2.5 liters at its introduction, to 2.7 liters in the base and 3.2-liters in the S models by the end of the first generation, on to 2.9 liters and 3.4 liters for the second-gen Boxster, and now 2.7 liters and 3.4 liters in the third generation. 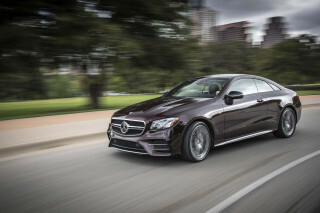 Power has risen accordingly, from the introductory car's 201 horsepower to the current top-of-the-line model's 330 hp. Over the first two generations, several special-edition models were offered, though the basic two-seat, rag-top layout remained undisturbed until the production of the Boxster Spyder in 2010. The second-generation Porsche Boxster range was divided into three models, the Boxster, Boxster S, and Boxster Spyder. 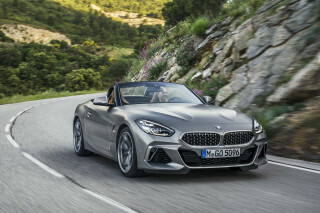 The entry-level Boxster used a 2.9-liter engine that produced 255 hp, while the upgrade to the Boxster S brought a 3.4-liter engine rated at 310 hp. The low-volume Boxster Spyder model had the same displacement as the Boxster S, but added an additional 10 hp. 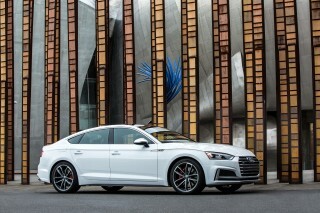 All models were available with either a 6-speed manual transmission or a 7-speed dual-clutch PDK transmission. While the standard Boxster and Boxster S were available with all the luxuries you'd expect from a modern Porsche, including electric seats, power accessories, leather interior and high-tech features like ParkAssist, the Boxster Spyder did without some of the extras to present a more focused, lightweight package for enthusiasts. The second generation was also joined by a coupe version of the Boxster, the Cayman, which offers slightly stronger versions of the same engines and costs a bit more. Truly amazing car. The new generation Boxster does everything well. A free revving powerful flat six engine mounted amidship, a very tight suspension that glues the car to the road, supportive and comfortable... Truly amazing car. The new generation Boxster does everything well. A free revving powerful flat six engine mounted amidship, a very tight suspension that glues the car to the road, supportive and comfortable seating, controls in the right places, a precise, short throw gearbox, stunning exterior. 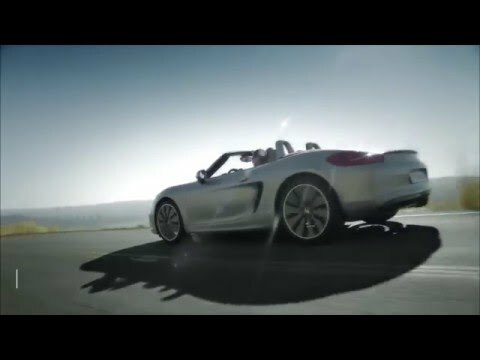 They remade the Boxster into a car that definitely rivals the 911 both in looks and performance and passes it in some areas. The base Boxster is reasonably priced, but most will option it out, which quickly pushes the price tag on up. Get the sport chrono package, the S model with larger engine, more leather, bigger wheels, premium sound system, and on and on. Porsche is big on options and the option list is the longest of any car on the market. You can make a Porsche totally unique to you. The only place I would make a few changes would be the interior. It's a great interior, very functional and does its intended purpose very well, though at the price point, a little more luxury feel is needed. Its competitors have excelled at more creative, luxurious interiors where Porsche has gone with the more spartan, typically Teutonic style. And those cupholders, can't forget the over German engineered cupholders that are totally useless. When will Porsche figure out that Americans love cupholders?